The iconic Mount Lofty House MGallery is a superbly positioned hotel and conference retreat, just 15 minutes from Adelaide city. 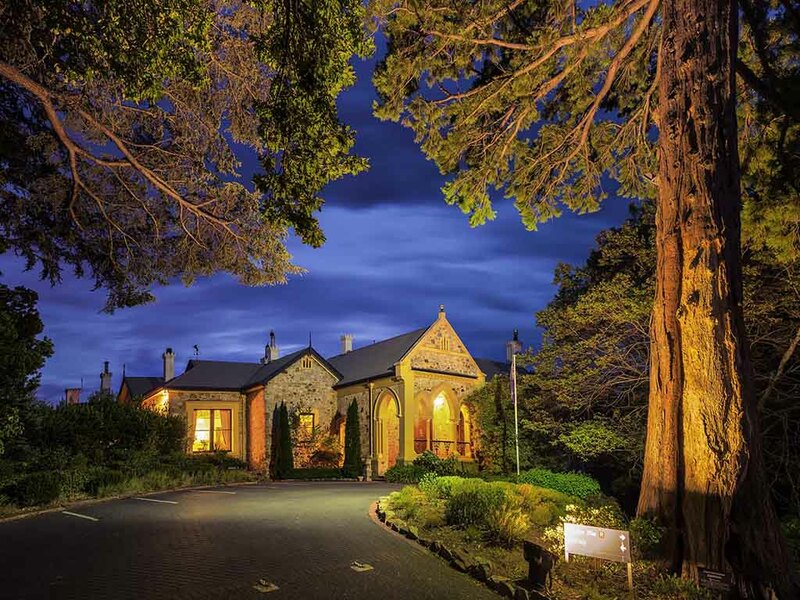 Situated amongst thirty acres of gardens with stunning views across the Piccadilly Valley and Adelaide Hills wine region, this historic boutique hotel features 33 beautiful rooms, one of the best restaurants in the state, day spa and leisure facilities. Feel a world away, only 15 minutes from Adelaide CBD. Discover the 165 year history of Mt. Lofty House and our beautiful grounds. Breathtaking views over the Piccadilly Valley.